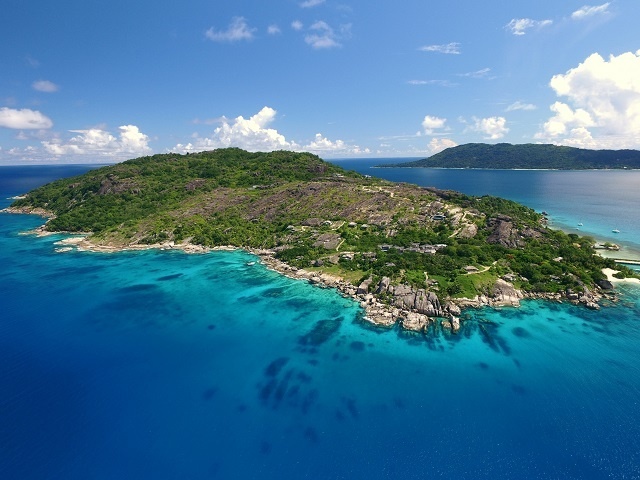 (Seychelles News Agency) - Seychelles’ Félicité Island was named the second-most sustainable destination in the Best of Africa category at the 2019 Top 100 destination awards. The island, which is home to the Six Senses Zil Pasyon luxury resort, opened in 2016. It received the award from the Green Destinations -- a non-profit foundation for sustainable tourism — last month. Chumbe Island from Tanzania took the top spot. The ceremony for the sustainable top 100 destinations award took place during the world’s largest trade fair -- ITB Berlin -- from March 6 to 10. The Zil Pasyon resort is run in close collaboration with the Seychelles National Parks Authority since Félicité Island is part of the Marine Protected Area (MPA) and two-thirds of the island consists of Ramos National Park. “We are very proud that our small island paradise has been recognised for the commitment to sustainable development and conservation initiatives,” said Anna Zora, sustainability manager of Six Senses Zil Pasyon, in a communique last week. “One project we take a lot of pride in is the rehabilitation of the island’s habitat through the reintroduction of endemic and indigenous species and the protection of the coco de mer site, which is only found in the Seychelles,” she added.